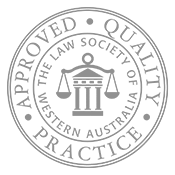 Colin Touyz is appointed by the Supreme Court of Western Australia as a General Public Notary for the State of Western Australia. Please contact us to make an appointment for the provision of notarial services. When doing so we will notify you of the fixed scale fee cost for such services. Fees for notarial services are regulated by the Scale of Public Notaries Fees published in the Government Gazette WA.